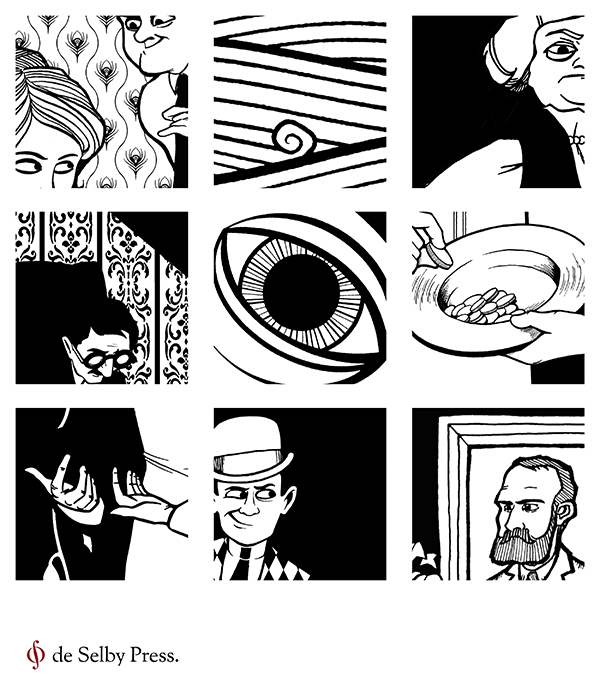 As I announced last week on Twitter and Tumblr, the reason this website has been dormant lately is that I’ve been sweating over a new project: illustrating Dubliners for the new Paris-based Irish-interest publisher de Selby Press. It will include a total of 17 illustrations (one for each story, plus an additional two for The Dead) that I can’t wait to share with you! Watch this space in the next few weeks for more pictures and details.